Mill Creek is putting out one of the most beloved sci-fi shows of all time and I can't be happier. I missed out on the original DVD releases from 2004, so it's pretty nice that I have the ability to get a (considerably cheaper) second chance at owning these seasons. 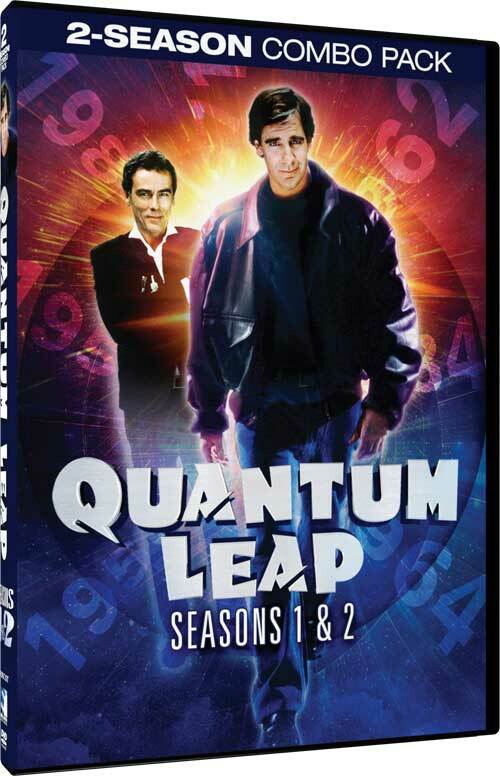 First off, what can be said about Quantum Leap? The story of Dr Sam Beckett, who thanks to a scientific experiment gone wrong, hops through the bodies of complete strangers to fix catastrophic moments in time with only his sharp-tongued holographic sidekick, Al. A lot of historical, and fictional, situations seen in this show. You can see Sam rub shoulders with famous faces before they were famous from Stephen King to Sylvester Stallone to Donald Trump, usually in silly, quick gags. And it works. For a show that's sometimes super emotional and serious, it's nice to have a good measure of humor every once in a while. Not only do the famous youngsters provide fun moments, but Sam and Al's chemistry is quite the perfect blend. 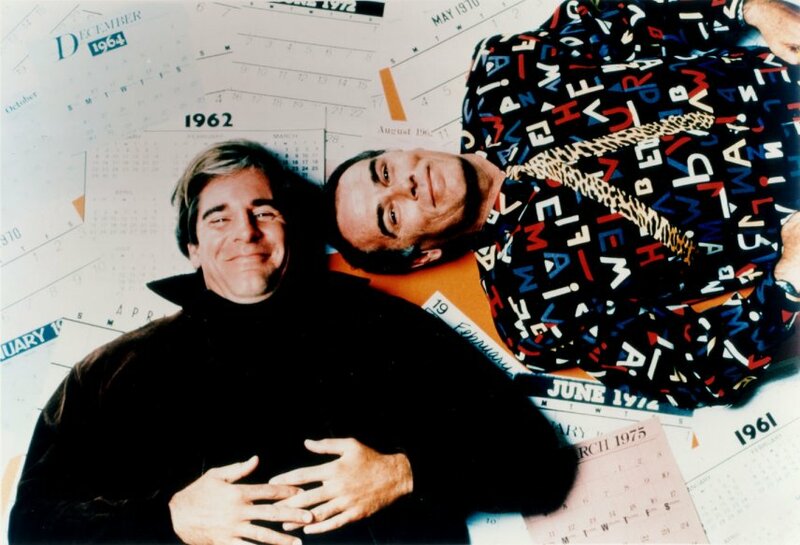 Al's sarcasm and womanizing combined with Sam's gee-golly, good natured, down to Earth attitude are for a lot of people, what kept audiences tuning in. Also, added bonus, for those Leapers who were worried about the music being swapped in the previous DVD releases can rest assured that the music has now been reinserted. Yes, you can tear up on that famous scene with Al and Beth dancing to "Georgia On My Mind". And trust me, you WILL cry like a baby. I guarantee it. Sorry to say, no features are on these discs. My assumption is that it came down to music or features and...well...anyone who complained about music being cut and replaced with generic muzak got their wish. I'd say having the episodes as pure and complete as possible is a little bit more of a priority. Well, in my opinion, at least. It's good entertainment and makes you think at the same time. What would you do if you were given the chance to risk your own life to alter someone else's life events? What would you learn from that experience? Would you go through with it if you knew you'd win or lose? A lot of questions in this show constantly make you guess until the end. 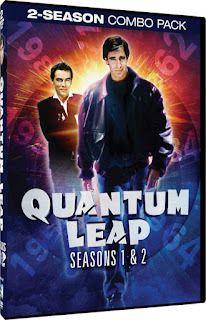 And while shows like Touched By An Angel and Early Edition borrowed this concept with different variations, Quantum Leap stands out as the best. Sidenote: if you're like me, then you also treasure your Quantum Leap soundtrack. My friend Ryan and I would spend multiple road trips and trips to conventions playing this. If you've never heard Dean Stockwell preform the "Alphabet Rap" on your way to New York Comic Con in the snowy February weather, you've never truly lived. So, all in all, it's a must own for QL fans. It's definitely the release fans have been wanting. Great picture, sound and music added in? You have a great set worth your money!